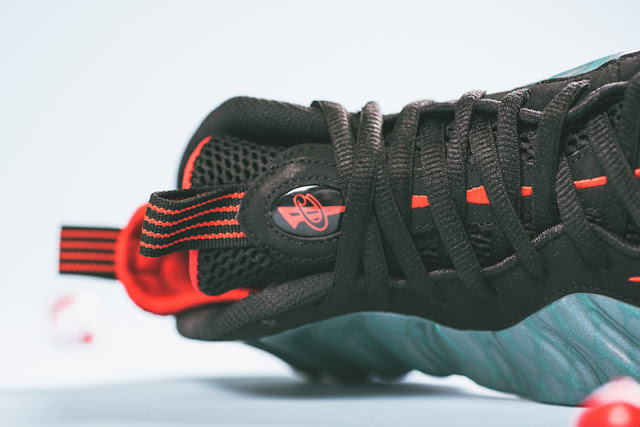 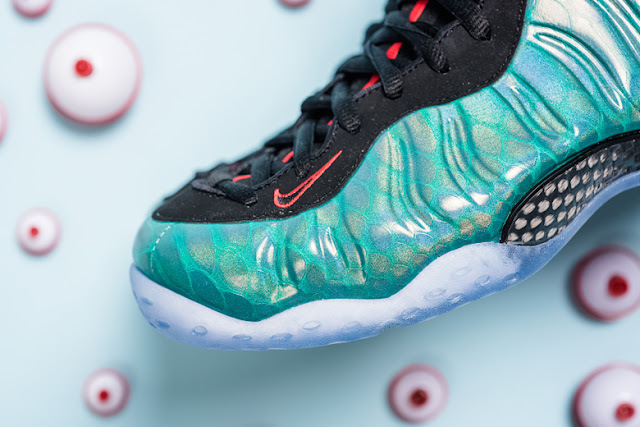 After announcing the NBA off-season inspired design for Nike’s Air Foamposite One silhouette, here’s a closer look at the shoe dubbed “Gone Fishing.” Its unique ChromaFlair fish scale Foamposite shell is matched with a contrasting black trim and challenge red accents for a striking aesthetic. 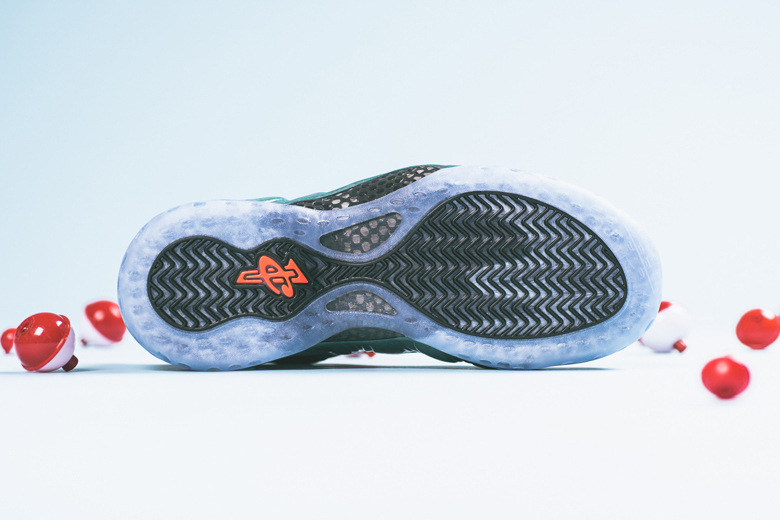 Further details such as the embroidered fish skeleton at the heel offers up a nod to the popular pastime adopted by many athletes during their offseason. 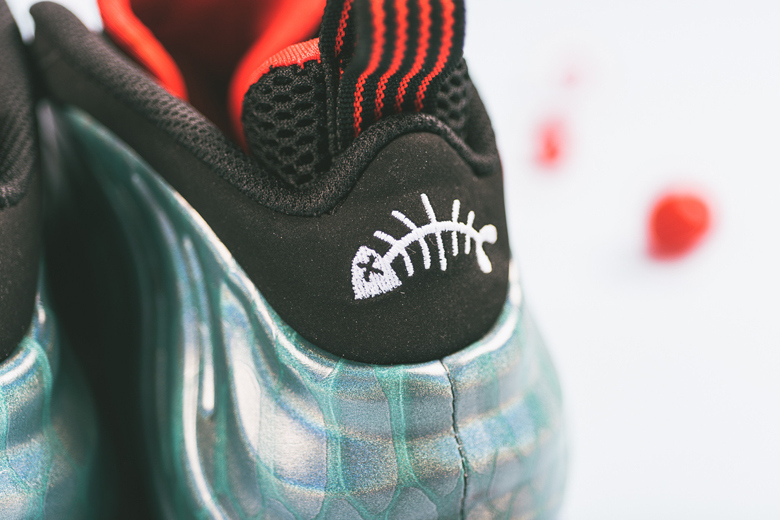 Underneath lies an icy semi-translucent outsole, which aligns perfectly with the shoe’s water sport theme. 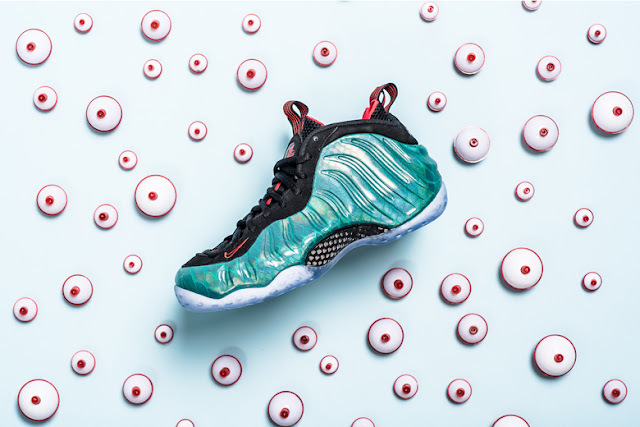 The Nike Air Foamposite One “Gone Fishing” is set to release on June 27 for $250 USD at select accounts including Nike’s online store.